I Ran 13.1 Miles For This? Yesterday I ran a half marathon, which if you don’t already know is 13.1 miles. That is a very good question that I wish I could answer without sounding like I’m insane or something. A marathon is a race consisting of 26.2 miles. Apparently a long time ago in a galaxy far, far away (before cars, rockets and rickshaws) a soldier/messenger ran 26 or so miles non-stop to deliver news that the Persians had been defeated in the Battle of Marathon. Apparently, this was also before cell phones, telegraphs and homing pigeons. The messenger gave the news–“We Won”–before collapsing and dying. So people that don’t want to collapse and die run a half marathon of 13.1 miles instead. But why did I run this race? I am a runner, which means that I put on outfits and expensive colorful shoes that you otherwise wouldn’t wear in public–call it a uniform if you will–and I run around for no apparent reason (as in being chased by a bear, having my hair or clothes on fire, missing a bus, or following the ice cream/beer truck.) I do this for exercise and because I am mentally unstable loathe weightlifting, swimming, biking, gyms, and pretty much every other form of physical activity beyond golf, bowling, and chess. The marathon is to the runner what Mt. Everest is to the mountain climber, the World Series is to the baseball player or the all-you-can-eat smorgasbord is to the hungry man. The half-marathon is a mountain half as high as Everest (too lazy to Google one up), just making the team to the baseball player, and McDonald’s to the hungry man. This was not about proving anything to myself or the world. I have already run more than 13 miles in the past. I already knew I could do it. 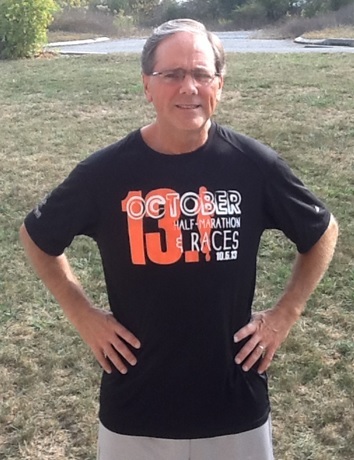 I have only run three races before–two 5K’s and a 15K–for various reasons that I couldn’t explain well either. The main reason I ran this race is that the guy I run with on weekends wanted to run this race–he also does triathlons, but as noted above, I don’t do the cycling or swimming thing. Since he couldn’t drag me kicking and screaming talk me into a triathlon, he settled on tricking me talking me into a half marathon. Of course, the week before the race he informs me that he forgot he will be out of town in Las Vegas. I had already signed up on-line early, so I figured I might as well still run the race. It was as good a reason as I could come up with. 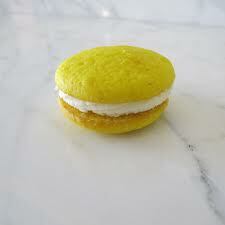 Do you think they had vanilla cream whoopee pies after a half-marathon? No. Beer? NO! Doughnuts? A thousand times NO! I ran off my legs for this? In case you are wondering, I ran 13.1 miles in one hour and fifty one minutes and twenty seconds, for an average pace of 8:29. I finished 67th overall in a crowd of I don’t know how many really young looking people. Seriously, I think I saw only three people that looked older than me. They didn’t have the times broken down into age groups, but I figure I must be in the old fart category. Or maybe the pre-coffin group. Would it have killed them to have some cream-filled doughnuts alongside the bananas? I earned a doughnut for God sakes! My on-line training program calculated that I burned 1667 calories! I need me some banana-flavored ice cream! (They did have yogurt, but like biking, I don’t do that.) They also had some healthy vegetable wraps. Yeah right. I just ran half way from Marathon to Athens, and this is my reward? That’s like a kid at Christmas hoping for a Red Rider BB gun and ending up with some socks instead. The next race I enter better have some doughnuts waiting for me.